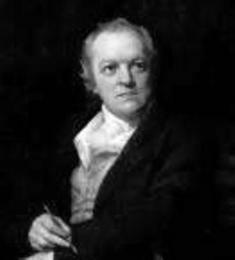 William Blake (1757 - 1827) was an English poet and painter. Best known today for his poem, "The Tyger," Blake enjoyed virtually no acclaim as a poet during his lifetime. Today, however, he is considered an immense talent in both literary and artistic circles. Trained as an engraver, Blake produced all but one of his poetry books himself. His wife—whom Blake himself taught to read, write, and draw—was a valued partner and critic. Much of Blake’s work focused on religious themes, with a colorful swirl of fantasy tossed in. Keep your friends by allowing them to see your anger, keep your enemies-as enemies- by hiding the anger beneath deceitful smiles, until it shines like a poisoned apple. And then it will be deadly. Dramatic, concise, and to the point.